I’ve always been interested in and proud of my Polish heritage. When I got my first car when I was seventeen, I put a Polish coat of arms sticker on the back windshield. A stylized eagle hovering over the ramparts of a castle. I loved it. Jump forward a few decades. In one of the very first stories I wrote for this book, long before I even knew it was going to become part of an actual book, the main character’s name was Catherine Bedford. Her name came to me out of nowhere, and I knew, as soon as it popped into my mind, that this was her name. There would be no changing it. When I realized her Polish parents needed a Polish name from which Bedford might have derived, Bedczynski popped into my head. It wasn’t a name I’d ever heard in my life, but again, I knew, as soon as I thought of it, that this was the family’s name. Of course I promptly did a search for the surname Bedczynski. Now, remember, this name was totally invented. It’s MY name, in a way. I made it up out of thin air. So I wasn’t surprised when my search turned up no hits. In a way, I was relieved, and I gave it no further thought. But last summer as I was working on another story, I needed a name of a town for another character to be from, and it was in this search, on a page of maps of Poland in 1907, that I unexpectedly found a listing for Będziński . I invented the dang name and spelled it wrong? What? So I clicked on it . . . and found that it’s a region (not a name, per se)—and the page that came up showed not a map, but a coat of arms for that region. My heart stopped when I saw it. 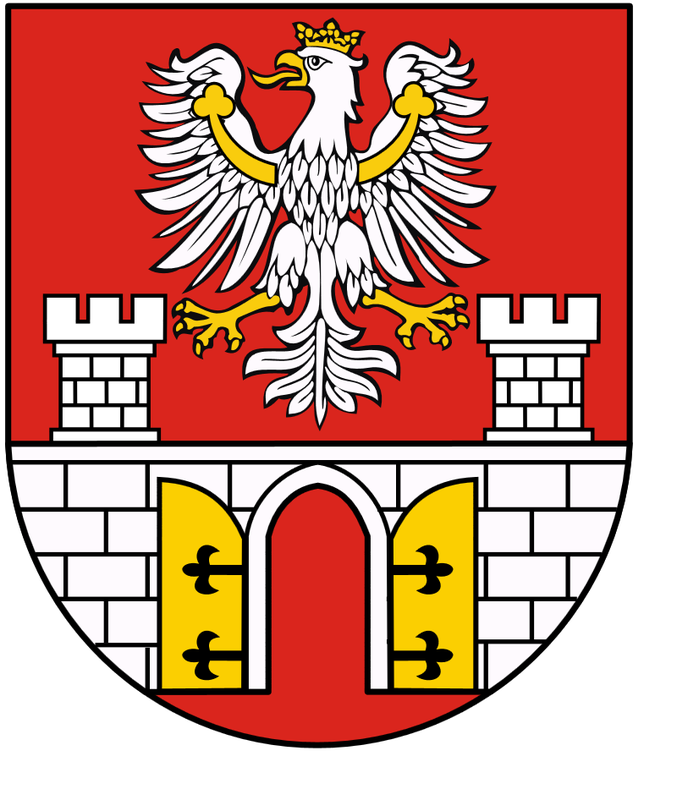 The coat of arms is the same one I had on the Poland sticker on my first car. I put that sticker on the car in about 1976. I remember it vividly. And now I find out it’s the freaking coat of arms for Będziński. Creeeeepy!!! But wait—it gets even trippier. The coat of arms page contained a list of towns that have coats of arms, with live links for each. One of them was a place called Bobrowniki. Really? Really?? Bobrowski was my grandmother’s maiden name. Of course I clicked on it. And guess what? Bobrowniki is a township in Będziński . Goosebumps. It still gives me goosebumps. I’m telling you–this book was meant to be. And thanks for visiting mine! I’m looking forward to reading more on yours–it made me wonder about the nature and origin of coincidences. Who’s to say what forces might be at work in all of this? Is it a Muse/subconscious mind moment? Or is it magic? This is what makes writing fiction feel more like sorcery than storytelling! I’d love to hear about connections like this in your own work! Happy A-Z April from one Pole to another!! My mother’s maiden name was Caniecki! Welcome! Thanks for stopping by–I hope you enjoy the blog!